IMPORTANT: THE GOLF CLUB GAME WILL NOT RUN IN HIGH RESOLUTION/HIGH DETAIL IF ABOVE REQUIREMENTS ARE NOT MET! 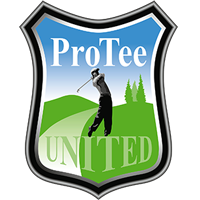 1] Download and install ProTee Golf Interface 3.07g or higher (required!). Note: If you have a VCAM installed, make sure that from the settings editor (ALT-E), the value: Use_TBS is set to True (eg. Use_TBS=True). To use the ProTee Golf Interface with TGC, switch ON "Use The Golf Club" and restart the interface. Switch OFF the same switch and restart the interface to play ProTee Golf 2.0. The Golf Club Simulator requires a license key. Copy and past the Machine ID into the online registration from. A license key will be emailed to you with 24 hours. You can copy and paste the license key into the license field and click the activate button. Note: Highlight text and use CTRL-C and CTRL-V to copy and paste license information. After you entered a valid license key, you can start the SDK server from the main screen. When the server has started the PLAY button will be enabled which will start the game. Make sure the ProTee Golf Interface is running in the system tray. The game will start when you click the Start Game button. The controller will close and the game display/resolution will open. You can select any resolution and graphics quality supported by your graphics card. From 640x480 upto 4K Ultra High Resolution. The graphics detail level can be set in the game itself.